At NATT Safety Services, we are committed to adding value to your company while keeping safety as our number one priority. We aim to create and maintain a safe environment for all of our employees, customers and contractors. Our goal is to be the leader in safety training, services and education by employing and training the most capable people. We have amazing trainers at NATT Safety Services who have field experience and who have been through the training you are attending. Not only do we provide safety and rescue training, but we also hire employees for various positions including shutdowns, full-time, part-time and contract work. Our Working At Heights program was created and developed in-house and has been approved by the Chief Prevention Officer. At NATT Safety Services, safety training is one of our main priorities. 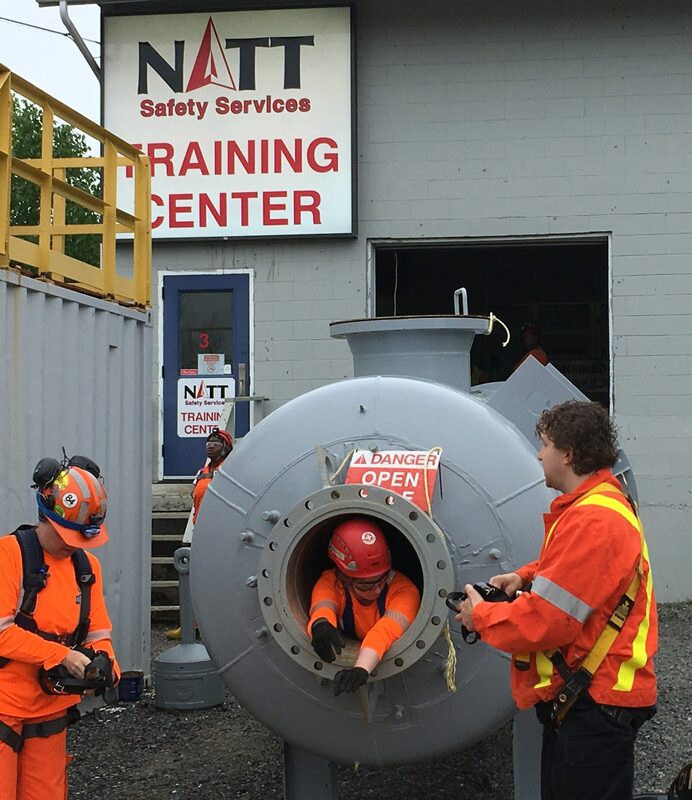 Our safety and rescue instructors are safety and confined spaces specialists who provide hands-on training. Our indoor and outdoor safety training simulator gives participants real-life safety training.